You think these guys do great things on the court? Wait until you see what they can do off of it. Kent Bazemore during his Holiday Giveaway event in December of 2015. "Ability is what gives you the opportunity. Belief is what gets you there." It's no secret - we LOVE this team. 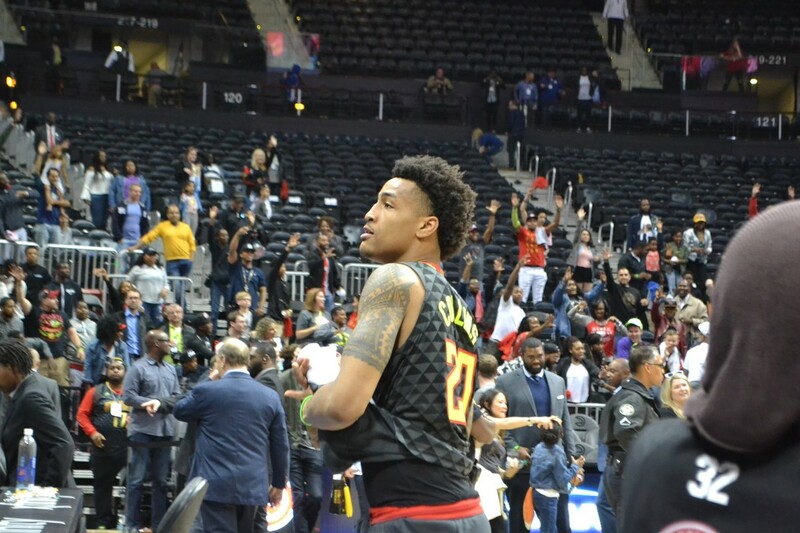 This site gives us something to do when the Hawks aren't playing :) We're here to have fun, to bond with other fans like us and to show the Hawks even more love. Find out more about who founded this site on the "Founding Fans" page! Click the image to read about guard DeAndre' Bembry's experience with injuries last season! There are few things we love more than watching Hawks videos and listening to Hawks interviews. We'll do our best to bring you the most entertaining videos and interesting interviews. Let us know what you want to see! We would like to thank Bob Rathbun for his encouragement on starting this endeavor.